Welcome from Laura at Dunmire Crochet Corner, my Crochet and Craft Corner of the World! Clothes, Purses, Afghans, Baby Items and More! Custom Orders are always welcome, Please contact me with any ideas you may have! Come with me on my journey of sharing ideas, projects I am working on and last but not least just having some fun! What is Crochet you ask? Here are some different variations of crochet. 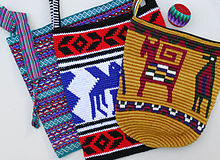 Bags and hacky sack tapestry crocheted in Guatemala. Crochet is a process of creating fabric from yarn, thread or other material strands using a crochet hook. The word is derived from the French word “crochet”, meaning hook. Hooks can be made of materials such as metals, woods, or plastic and are commercially manufactured as well as produced by artisans. 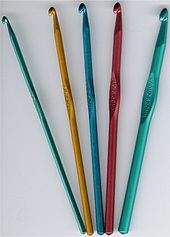 Crocheting, like knitting, consists of pulling loops of material through other loops, but additionally incorporates wrapping the working material around the hook one or more times. Crochet differs from knitting in that only one stitch is active at one time (exceptions being Tunisian and broomstick lace), stitches made with the same diameter of yarn are comparably taller, and a single crochet hook is used instead of two knitting needles. Additionally, crochet has its own system of symbols to represent stitch types. Kooler proposes that early industrialization is key to the development of crochet. Machine spun cotton thread became widely available and inexpensive in Europe and North America after the invention of the cotton gin and the spinning jenny, displacing hand spun linen for many uses. Crochet technique consumes more thread than comparable textile production methods and cotton is well suited to crochet. 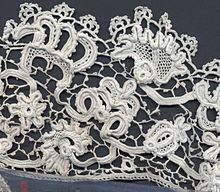 In the 19th century, as Ireland was facing the Great Irish Famine (1845-1849), crochet lace work was introduced as a form of famine relief (the production of crocheted lace being an alternative way of making money for impoverished Irish workers). 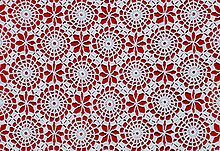 Mademoiselle Riego de la Blanchardiere is generally credited with the invention of Irish Crochet, publishing the first book of patterns in 1846. Irish lace became popular in Europe and America, and was made in quantity until the first World War. All items are handmade by me personally in my home in Winterset IA. I use a variety of fibers to create my handmade items. To name a few they are Acrylic and Acrylic Blend yarn, Wool and Wool Blend yarn, Cotton and Cotton Blend yarn. Remember that I welcome custom orders and they are happily accepted. Thank you for your time and interest in yours truly and Dunmire Crochet Corner! Don’t know if I’m right here… Saw you created a H. P. inspired sorting hat. May I ask if you wrote down a pattern you would sale? 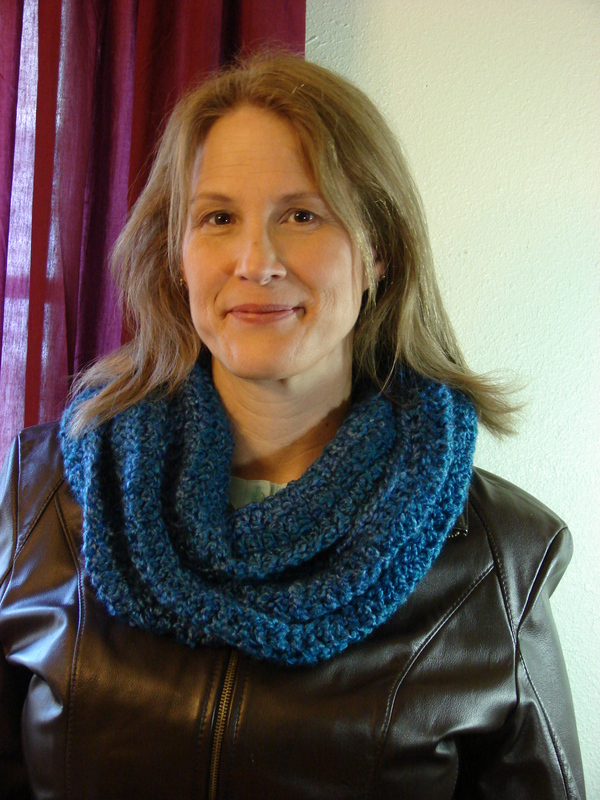 Hi Katja, I am now in the process of writing out the pattern and hope to have it for sale soon. I will post on here once I do get it finished. 🙂 Thank you for your interest! !